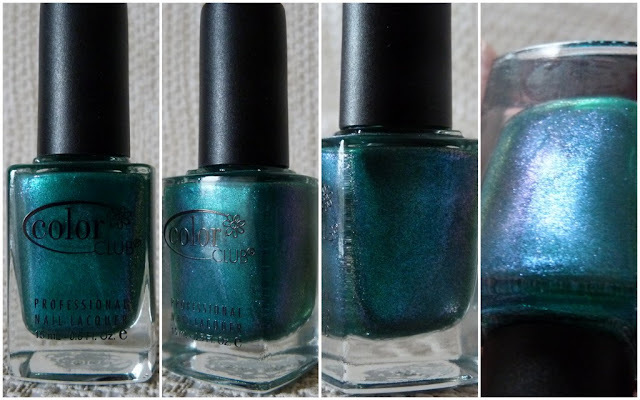 Oh I love when a new brand reaches Irish shores and when I heard that Color Club was in the chemist right beside me at work, I had to have a little mosey and see what it was all about. My eyes immediately zoned in on this shade and I fell in The Love with it. 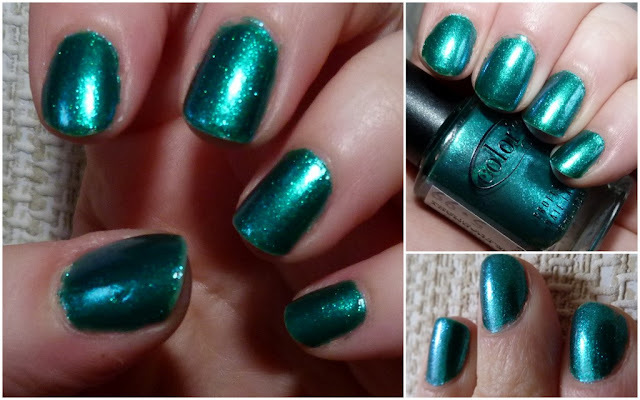 It's called Metamorphosis and it's a stunning green blue metallic polish with hints of pink and purple running through it. Of course, I spent ages trying to take photos of the duochrome aspect to it and this is all I could come up with! It's one of those polishes that looks different depending on the angle and the light and is one that would be very dangerous to drive with as I can't stop looking at it and tilting my hands this way and that. Sometimes I can see a deep blue when I tilt my fingers a certain way and of course can't get it to translate in photos. The consistency of the polish is quite thin but three coats gives you this coverage. Because the formula is so thin, the coats dry really quickly and you're left with a mermaidy shimmery manicure, perfect for summer. It cost €5.99 and I'm trying to find out a list of stockists for you. I got mine in the pharmacy in the Merrion Centre if you're passing by there! 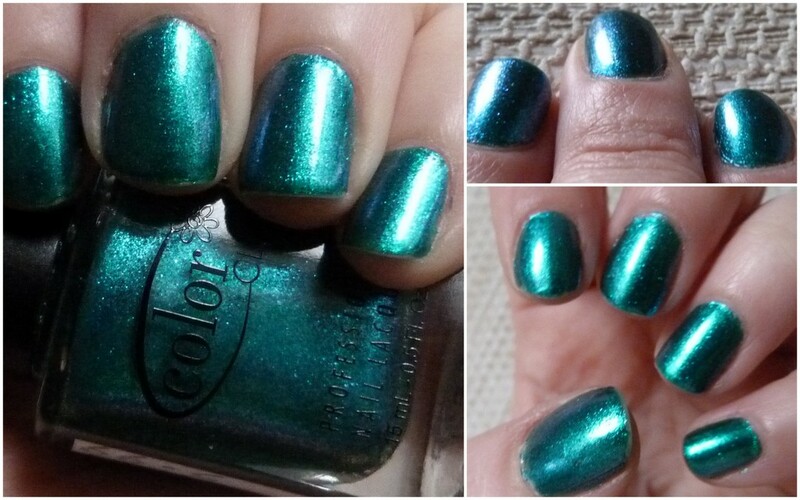 Have you tried Color Club polishes yet? What shade do I need to try next? It really is stunning, I've a purple holo from Color Club that I adore. Woe betide my Laser when I find these elusive buggers in Irish shops! Metamorphoses is so pretty! A little dark for me but gorgeous non the less. It's beautiful... I was in the chemist again today and had to stop myself from buying more! I'm well Jell Karen!! Colour Club are amazing! I've most recently lost my most favourite coral colour from them and I am devo. Going to be keeping a close eye out for them down here in bogland. Let me know if you want me to pick any up for you and I can pop them in el postio! Omg, I need that in my life! Such a great colour! Can't say I've ever noticed them anywhere, but I'll be keeping my eyes peeled now!! Oh wow, I think I need this.